America sees the’ looting’ of the US Treasury, and the money given to a Wall Street ‘criminal class’, journalist Chris Hedges told RT. He adds that ordinary people are caught in the vice of unregulated corporate capitalism – with no escape. RT: We have seen a lot of violence and instability over the last couple of years: the Arab Spring, foreign intervention in Libya, uncontrolled debt problems and riots in the US and throughout Europe, threats of global recession. How do you think these political and economic crises feed off of one another and keep the momentum going? Chris Hedges: Well, it's all the same crisis which is the collapse of globalization. It doesn't work anymore and it manifests itself through the rise of commodity prices. 47 million Americans live in poverty, they are not spending half of their income on food but they are now spending about 35 per cent. When you see a rise in gasoline prices which are going upwards in the US and by all projections will continue to rise upwards above $4 a gallon, may be $5 a gallon. So, we have created a kind of global oligarchic elite which is super national – it owes no loyalty to any particular country. It has reduced the working class within the US, within the developing world to a level of an almost subsistence existence. It tells workers they have to be competitive in the global marketplace which means they have to be competitive with switched up workers in Bangladesh or prison labor in China. So, it's a reconfiguration by corporations of a global economy where the working and obligated middle class is increasingly caught in a vice in which there's no escape. The system of globalization, of unfettered unregulated corporate capitalism doesn't work for the ordinary citizen and that we are seeing ignite – popular protest. RT: And I think that's the main reason why "Occupy Wall Street" began in New York and blazed throughout not just a nation but the world. 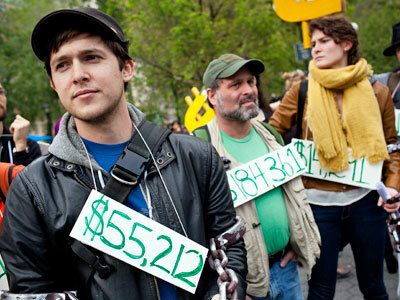 What does OWS lack to become a real politic factor in the US and throughout the world? CH: The other thing about the "Occupy" movement is that it had the right target, which is Wall Street. At this point Washington is an appendage of Wall Street. Wall Street is where power lies both economic and political. So, it was a powerful movement because it articulated these two truths; the idea of the one per cent, the economic inequality coupled with a targeting of where actual power lies. 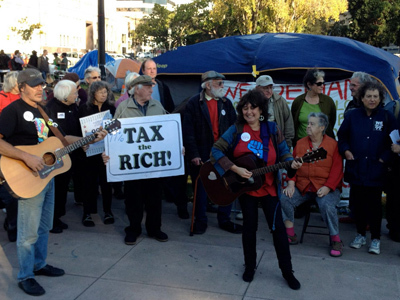 The "Occupy" movement has now felt the full rough of the state. Their encampments have been physically eradicated without question, they have been heavily infiltrated. The power of the "Occupy" movement was that it spoke for the mainstream. And the state's call is to sever the "Occupy" movement from the mainstream. So, the "Occupy" movement has got to build walls, it's got to develop a kind of self-discipline, it's got to set standards which do not allow internal movements within the "Occupy" organization to sever itself from the mainstream. The threat of the "Occupy" movement in Zuccotti Park was that on weekends you had mothers from New Jersey with their kids, with strollers: this terrified the state. "Occupy" have to form agreements by which they can operate and the second thing is that they have to begin to organize around very specific issues. 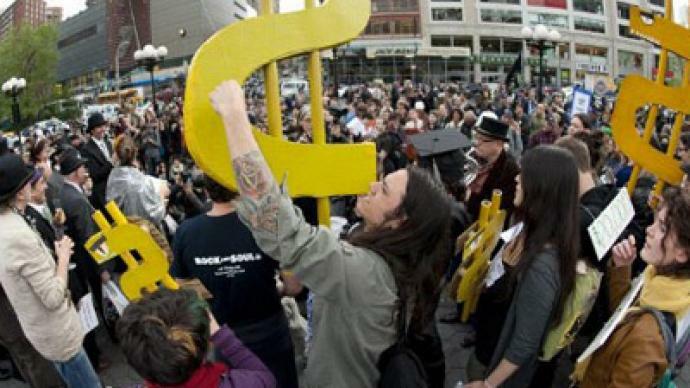 I think if the "Occupy" movement organizes around raising the minimum wage from $7.20 an hour which is the federal minimum wage to $10 an hour it can galvanize around an issue – 70 per cent of Americans by the way support a rise of the minimum wage – in order to keep labor with it. It has to latch on to the issue such as a raise in the minimum wage: they will bring labor out on the street and remain as a kind of vanguard movement of the mainstream. Whether they can do that – I don't know, we'll have to see. RT: What role do you see for US banks and US corporations? How else if not through them can the economy recover? CH: The banks are playing some very dirty games. The fact that we've not regulated the banks, that we've bailed out firms like Goldman Sachs and are, in essence, lending them free money with something like 0.1 per cent interest, which means they are all back to the speculative games and that's what they are – games. They don't produce anything. One of the reasons the price of petrol is rising is because they are buying up futures and shorting them which is what they do with commodity prices, basic staples of food, rice and anything else. We are headed for another implosion and some of our most respected financial reporters are walking around saying this. We've done nothing to curb them; we have permitted the largest transfers of wealth upwards in American history, the looting of the US Treasury. The tragedy is that the government, when the banks ran into trouble, didn't step in instead for instance creating regional banks, capitalizing those banks, leveraging them ten to one, lending, refinancing mortgages – all sorts of ways we could have used this money constructively.We handed it off to a criminal class. RT: Republican candidates are now battling one another for the opportunity to oppose Barack Obama. However skeptics view both parties similarly because we've seen military invasions, corporate bailouts and tax breaks for the wealthiest under both Democrats and Republicans. How can a new political force start to grow in America if it's sort of the same type of cycle every four years? CH: That's the problem and it's getting worse because after Citizens United in 2010 with the creation of these Super PACs and Obama broke a campaign promise by reaching out to the super PAC zone. I mean in a way he has no choice because this money rules and it has a pernicious effect not only on elections but on the process of legislation. Because if you are an elected official and you do anything that angers corporate lobbyers and corporate power than you now that the wave of this Super PACs will sweep you out of office. But only that: when you are under attack you won't have a super PAC to appeal to. So it's all political theater. Look at the Republican debate. What it is about?! Moon colonies, according to Newt Gingrich and when 13 thousand people live on the Moon, they can be employed by the state. The fact is personal narratives and personal opinions of political candidates do not matter. 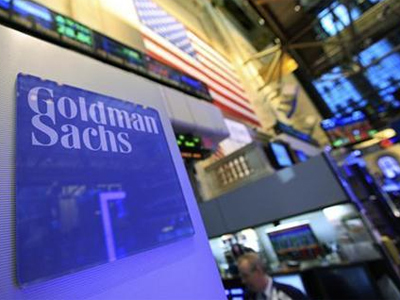 There is no way to vote in this country against the interests of Goldman Sachs. Obama is a more appealing political candidate because he is sane. But the Obama administration has carried out the policies of the George W. Bush administration whether in terms of Wall Street, imperial projects, a failure to address the suffering of the working class, address the long-term unemployment crisis. We have cities now filing for bankruptcy, states that are talking about filing for bankruptcy, and the federal government is doing nothing except squandering $4 trillion on wars that we are losing and handing money over to a class on Wall Street that, who are complicit in essentially hauling the country out from the inside. RT: The US claims to promote democracy within America and throughout the world. When it comes to Syria the US is calling essentially for the regime change of a sovereign state. The US says that Syrians deserve democratic transition but when you mentioned countries like Iraq, Afghanistan and Libya… Shouldn't the US learn some lesson before trying to "teach" more countries? CH: Let's imagine how this sells in the Middle East where we were Mubarak's great supporter. I don't think anyone in the Muslim world thinks that we care much about human rights or democracy. We have since the first Gulf war planted military bases, some of the size of small cities. I think there's at this point absolutely no credibility – I'm talking about within the Middle East – when the US claims that it would like to bring liberty or democracy to Syria. That said, the Assad regime (and I was there under his father) is a pretty repugnant and horrible regime. My feeling on Syria, and I'm not on the ground and as a reporter I think that for one to make those kind of judgments you have to be on the ground – but my feeling is that everything has to be pushed through a ceasefire. RT: Do you think there's any chance of US or European military intervention? CH: I don't think so. The US is so overextended and I think that the situation in Syria is so messy. There's no real formal opposition. It's just sort of a mess and they just went through this in Libya. I hardly believe they are going to do that in Syria. 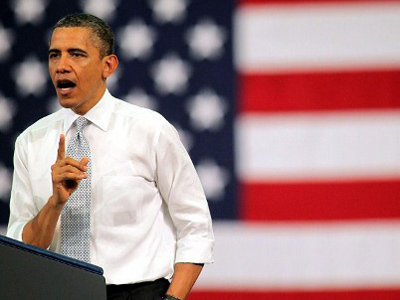 Does Obama’s Jobs Act pave the way for Wall Street scams?